The holidays are one of those times where it is so nice to find a nice gift that is already wrapped and ready to be given. Terranova has these beautiful ornaments that are filled with a bottle of perfume and are just perfect for that teacher, coworker or friend this season. Terranova uses premium, plant ingredients, fresh fragrances, and authentic formulas is once again at the forefront of bringing beauty to the festivities of the holidays. I was sent an ornament with China Musk, I find the scent to very clean smelling and delicate. It is a blend of Chinese blossoms, sparkling citrus and creamy hints of vanilla spice, it is a fresh smell that would be a great gift as most would be pleased with the scent. Scents of the Season, fragrance tucked inside ornaments that can go on your tree and be a gift of all rolled into one. Ornaments will feature some of their top-selling perfume oils including China Rain, China Musk, China Lily, and Patchouli. 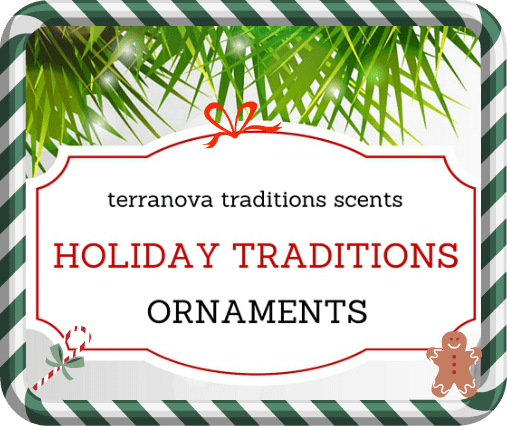 The ornaments have a full size (.375 fl oz) Terranova Perfume Oil in a reusable ornament and they even have a card for easy gifting. 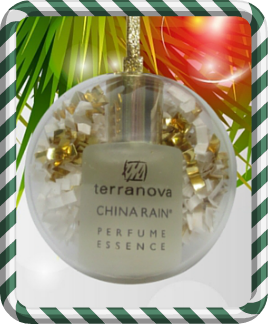 You can get your ornament with your favorite Terranova Perfumes at their website for $19.50 each. I think these ornaments are perfect for putting in a stocking or bringing to a hostess!